Thinking of getting your child a remote control toy? For those that like flying type of toys, a remote control helicopters for kids is one of the best toys that children would love to own one. 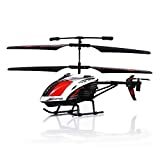 ​All kids love remote control cars because it's a fun toy to play with one but when it comes to remote control helicopters the element of fun doubles but then so does the difficulty in maneuvering the device. When it come to RC helicopter, there are so many choices available with so many differences. It can easily get confused which is the best pick. Well, don’t worry because we’ve shortened the list for you with this review for the best remote control helicopters for kids. The good news about RC helicopter is that it’s much affordable nowadays compared to last time. Also, an RC helicopter just needs a wide area to start playing. Unlike an airplane that requires a mowed or paved runway to take-off and land. ​The freedom of taking off from practically anywhere (even in indoor!) will enable your children to have fun whenever they want without the space restriction. 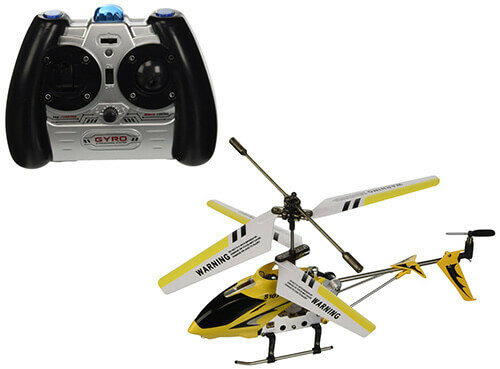 ​Here, we have scoured the web and list out some of the best remote control helicopters for kids that are currently available in the market. For your ease of reading, we have written a quick summary of each RC helicopter and their main features. Check them out below. 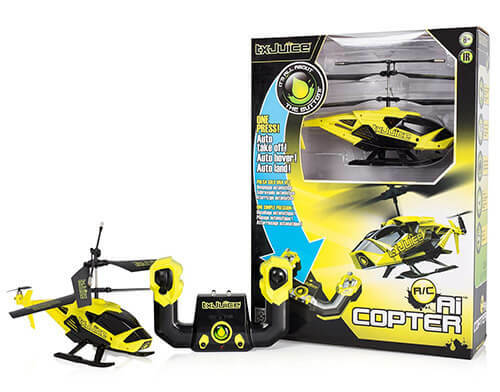 This helicopter is perfect for beginners and is recommended for kids 8 years old and above. Made with very flexible plastic for extra durability even with the possibility of a crash. Can reach heights up to 50 feet. 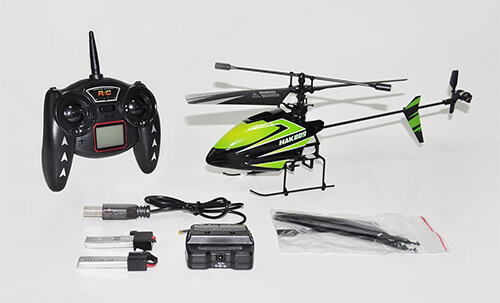 This helicopter is suitable for indoor usage or as long as the sun isn’t shining too bright because the brightness could interfere with the infrared. The TX juice copter is also an excellent choice for beginners, and it is considered easier to maneuver as it has features that ensure it stays intact. This to assist the novice players until they are comfortable to control the helicopter manually. A button on the helicopter itself that, when pushed, makes the helicopter hover 3 feet in the air. This feature is meant to assist with take-off. Built-in sensors that can detect nearly objects to avoid crashing. Has a built-in feature that lets it land correctly on its own. Has a built in gyroscope and 3 channel control. The Syma S6 RC helicopter makes it into our list of best remote control helicopters for kids because of its novelty qualities. This toy is TINY about the size of a quarter dollar put side by side, but regardless of its size, it still packs a punch. A sturdy plastic frame which makes it extra durable even when bumping into things. Gyro system for added flight stability. The Syma Mini Chinook is one cool looking helicopter resembling that used by the army in World War 2. This helicopter is sure to bring on an interest in history and can be used as a tool to get kids excited about learning facts and history. Two propellers for faster take-off and flying. 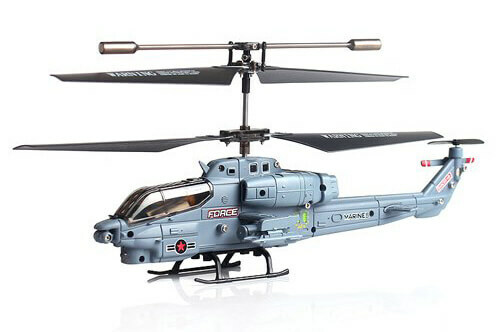 This helicopter is the perfect combination of smooth flying and extra durability. It's completely lightweight but still made of solid aluminum which makes it almost indestructible. Fast charging at 30 minutes and gets you a fly time of 8 minutes. 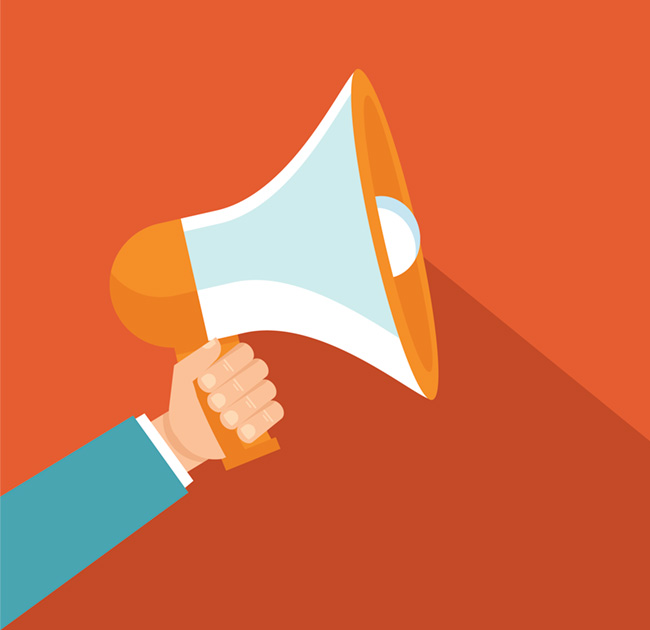 ROHS, ASTM, FCC and CE approval. 2 selectable frequencies. The remote control lets you fly up to 2 helicopters at once. Probably not a good idea for a beginner to fly 2 helicopters at once. 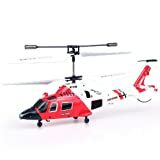 This helicopter is themed to look like those used by the coast guard, it is a career toy meant for a slightly older audience. Why are career toys beneficial? Career toys encourage controlled imaginative play wherein the user thinks of himself in certain scenarios. In this case, flying a coast guard helicopter and the possibility of being a part of the coast guard. This helps children strengthen their goals and drives them to work towards them. This is why we think that the Syma 111G RC helicopter is one of the best remote control helicopters for kids. Children, no matter what is the age, will always have their own interests and preferences when it comes to themed toys. Some children like cars, construction, outer space and such. Some kids also happen to be interested in servicemen and everything warfare. 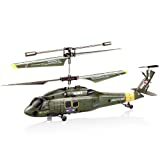 ​This black hawk helicopter is sure to be a child’s prized possession as they imagine the heroic Black Hawk helicopter during heroic missions. When you give a child the ultimate tool that peaks his interest he will take care of it like it is his own child. 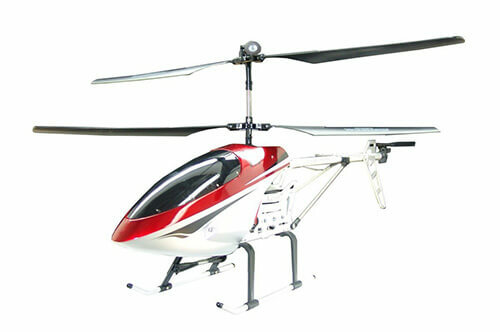 This helicopter is easy to fly, thus, very suitable for a beginner. 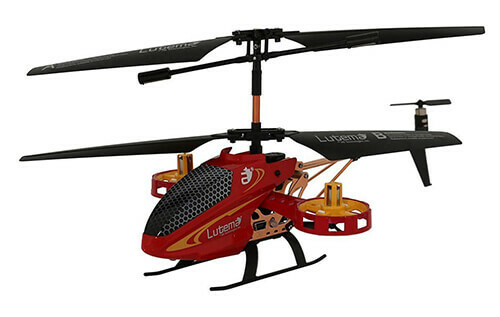 This helicopter is made of sturdy material and is considered crash-proof which is perfect for beginners. ​What makes this choice so special is its capability of carrying weight, not much but it has been known to be able to pick up small toys or action figures which can greatly enhance the quality of imaginative play. 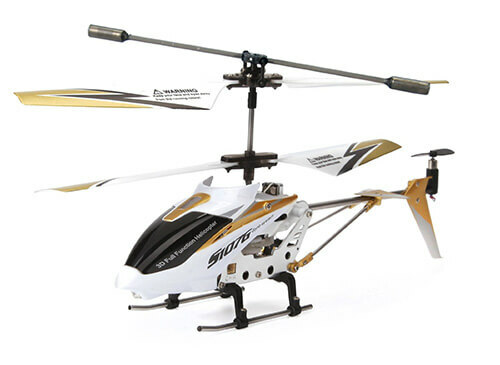 This choice from Haktoys is considered the perfect model for those who may be transitioning from beginner to intermediate flyers with its adjustable speed to cater to the smooth transition. ​What makes it so unique? There are very few helicopters that are made for transitioning in between levels. What makes this helicopter so special is its easy yet standardized controls with the ability to control speed. Any experienced remote control helicopter enthusiast knows that the greater the speed, the harder it is to maneuver the chopper. 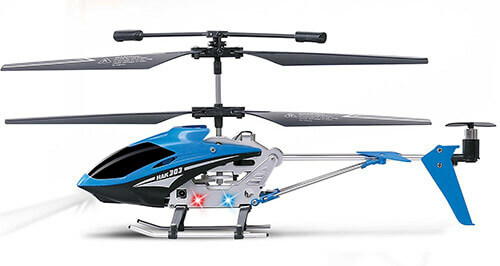 With this helicopter from Haktoys, users can control their own pace until they reach the top speed. Therefore, the Mini Single Blade RC helicopter from Haktoys is one of the best remote control helicopters for kids for transitioning from a beginner to an intermediate pilot. For anyone with intermediate experience, this helicopter would be an excellent choice. It boasts speeds faster than most for its size and has an additional tail rotor for better balance. 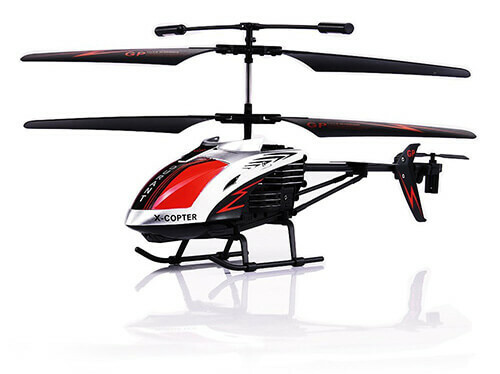 The remote control is very sensitive, and this helicopter can go from zero to superfast in seconds. 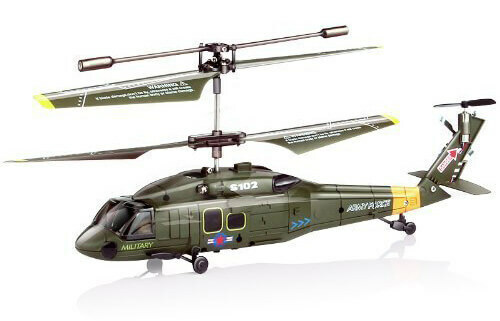 ​This helicopter has flashing lights which make it cooler, more fun to play with, and it looks awesome in the dark. However, most RC helicopters would be dangerous to fly at night because the risk of losing them is substantially higher. This choice definitely makes it into our list of best remote control helicopters for kids because it is by far the coolest looking toy we have reviewed. ​It comes with all the features of other helicopters such as easy controlling, fast charging time, 40 minutes for 8 minutes of fly time. It sensitive controllers let you pilot this RC helicopter smoothly, and improved balance but what sets it apart is the fact that it comes with LED lights for additional effect and fun at night. It is also surprisingly light weight considering the durability that its materials offer. 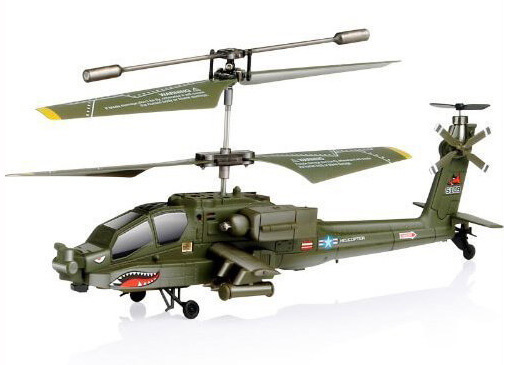 Finally, this copter has an impressive design enough for any kid to love. 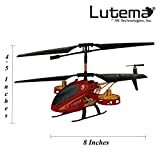 The Lutema Large RC Helicopter body is made of metal which makes it very versatile in case of a crash. The metal body also adds to its very sleek and shiny effect. It can go to distances of up to 30 meters and has LED flashing lights for maximum fun and imaginative play. 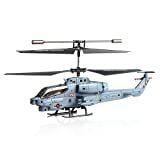 ​However, do take note that this is a larger helicopter compared to all the above mini RC helicopter that we have reviewed. So, try not to play inside the house or else you might bump the helicopter into the wall in case you are not controlling it well. Lutema is a household name in the creation of durable toys that still manage to offer hours of fun. If you have seen the movie Avatar, you would have instantly recognized this helicopter as it's fly by the actress Michelle Rodriguez. ​What makes this so unique? Its propellers are paired up with drone technology on the base for easier take-off, landing, and better flight stability and overall control. It is made of steel and is very durable, its back frame is naked and looks cool. The remote control is very sensitive when controlling. 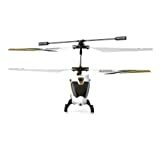 This helicopter comes in a sleek all black design with cobalt blue accents, double propeller and tail rotor for perfect flight balance. ​What makes it so cool? 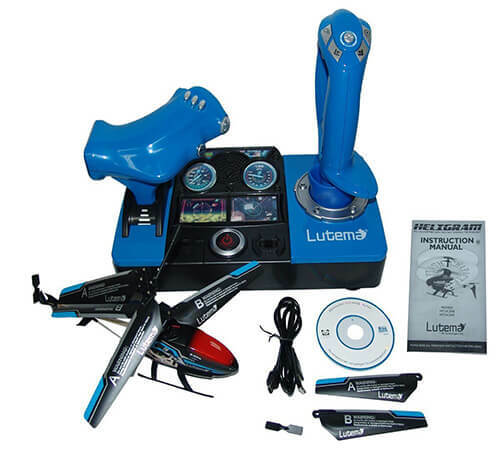 Its controller is awesome and is enough to make anyone’s jaw drop as it simulates real helicopter flying with its joystick and flight board display. ​What we like most about this helicopter is that you can actually type in a LED message on its propellers and display whatever you want to say. How cool is that! 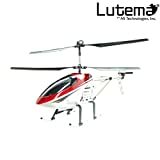 The Lutema Heligram RC helicopter is indeed one of the best remote control helicopters for kids. 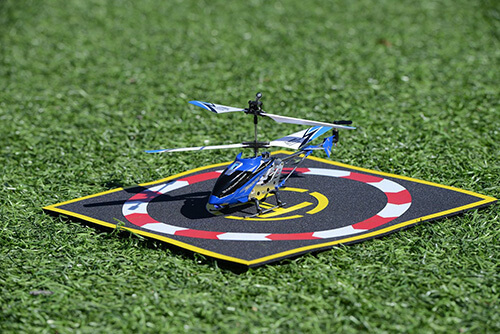 This 11" helicopter was made to be extra durable and crash resistant. With a solid larger body, it can still maintain elements of stability and balance while in flight. It gives the user 9 minutes of fly time with just a 30-minute charging. The G610 can be played indoor or outdoor and has a Hi-Lo speed control for customized flight. It also built with flashing LED lights for night flying. While an RC helicopter is not suitable for children 5 and below, but they still entitle to have as much fun as their older siblings when they are playing with RC helicopter. So, not to left them out, we have gathered the following remote control toys that are suitable for the younger kids. 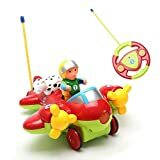 Though the Holy Stone RC cartoon remote control airplane isn’t technically a helicopter, it is still our best option for toddlers or kids over 18 months old. If your child has an older sibling or even if Dad is a remote control helicopter enthusiast, this is an excellent way to get any small child excited about the concept. 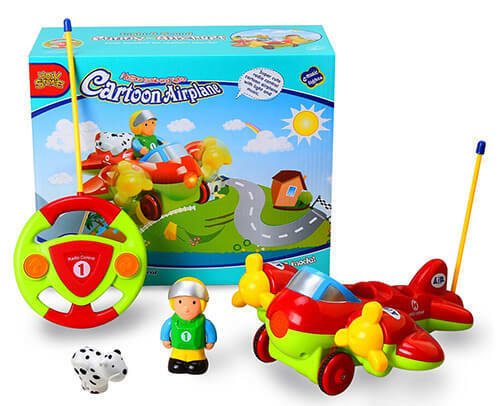 The cartoon airplane radio control features a remote control like a car stirring wheel. It allows them to move the plane forward and backward, it also has lights and sounds to keep little kids engaged. This model also allows you to detach the pilot and Dalmatian for extra role playing. This remote control toy by Mattel is a triple threat when it comes to fun. 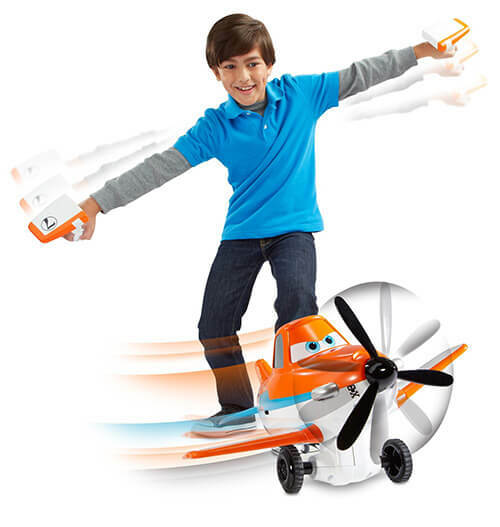 Meant for the slightly older crowd (4-7 years old) this RC plane is, first of all, a product from the very famous Disney movie Planes (sequel to the famous movie Cars). Second, it's that toys made featuring Disney characters will not disappoint. And third is the unique way this plane is controlled. 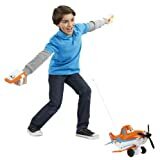 ​This plane is controlled by two hand pieces that are wear on either hand of the child and sends signals to the aircraft itself to move as the child’s arms move. ​Children fling their arms out like they are planes themselves and engage in creative and imaginative play. The plane also pre-programmed to say around 40 phrases from the movie. How cool is that! Learning to fly a remote control helicopter will definitely bring you hours of fun, the only thing left to do now is to look up the best remote control helicopters for kids and make your decision on which one is the best for you! 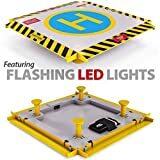 This is a helicopter landing pad that can easily be taken and place to land your helicopter anywhere. It is made with rubber for extra grip and easy landing. 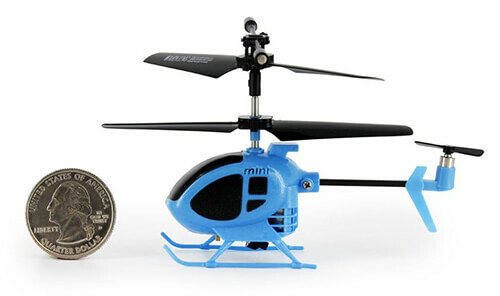 A perfect accessory for a mini RC helicopter. 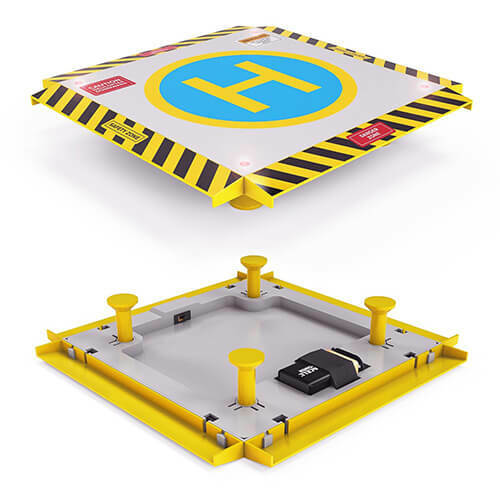 This is a more realistic choice for a landing pad. It is elevated and comes complete with LED lights and yellow and black caution stripes for the authentic effect. Gyro System: This system is meant to keep a helicopter stable when flying. This system is designed to automatically align the helicopter head and tail to it will go in one direction. Watch and learn more about gyro system. 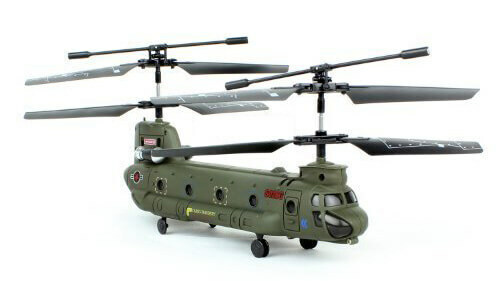 Coaxial Helicopter: A coaxial helicopter has 2 sets of rotors and places one on top of the other. When the rotors are spinning, they are to rotate in the opposite direction; canceling the torque generated by the other rotor. The reason of the rotor opposite spinning is to help the helicopter remain stable when flying. Trim: 'In trim' mean that when the helicopter has minimal tendency to rotate in any axis when hovering. In order for the helicopter not to drift to one side when hovering, trim is regularly applied to allow the helicopter to fly correctly. If you find your helicopter is drifting to one side, try to adjust the trim to fix this issue. Learn more about adjusting the trim in this video. Infrared (IR) Remote Control: An RC helicopter IR controller work just like your regular TV controller by sending commands from a transmitter to the RC helicopter through an infrared light beam. When the toy received the signal, it will start to perform the action given like increase throttle or reduce speed, etc. IR is sensitive to light. Thus, bright sunlight might affect the transmission. 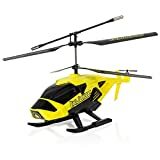 For the beginner, try to play this toy on the outdoor to reduce any chances of you piloting the helicopter to hit a wall and damage it. When done playing the RC helicopter, remember to charge the battery back to full before keep. An empty battery will make the battery shelf life shorter. Also, leave the chopper 15 minutes for the battery to cool down before start charging. Never buy an expert RC helicopter before mastering in piloting the beginner models. 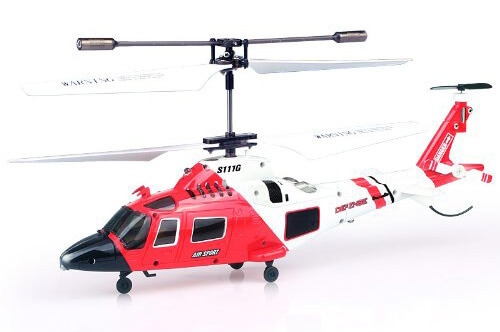 All the RC helicopter models we reviewed above are suitable for the beginner. There you have it. We hope that out best remote controls helicopters for kids guide can help you to find the perfect RC helicopter for your children. ​However, if you believe that we miss covering other cool RC helicopters, do let us know in the comment below, and we'll glad to look into it.